Referencing tools are handy to organize and format references so that you can easily incorporate them in your essays, research papers, dissertations and PhD thesis. There are many terms used for such tools such as referencing software, referencing tool, reference management software, citation software, citation app, paper software, citation manager, research paper management tool, bibliography software, literature review software, literature management software and research paper organizer. These all refer to a piece of software or an online tool that allows you to store and format references. It is very important that you choose a right tool for your research and stick to it. We have reviewed some of the popular referencing tools used in the scientific community below from an academic writing perspective. Zotero is a free referencing tool that allows you to collect, cite, organize and share research sources. Zotero comes with a browser extension that automatically senses content in your web browser, allowing you to add it to your personal library with a single click. It automatically picks up the nature of the text displayed in the page and displays a relevant icon in the address bar that represents the content (book, article, etc). The user can click this icon to add the reference to the library. Zotero automatically parses metadata of PDF files and extracts citation information and adds it to the library. You can include the references in your text by simply dragging and dropping citation files from the Zotero library into the document. Zotero supports all the major citation formats. Mendeley is a free referencing manager and social network that helps you organize research, collaborate online and discover new research. 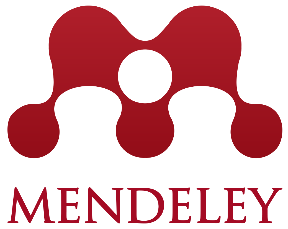 You can sign up for a Mendeley account online and install the Mendeley Desktop Tool in your computer. You can import papers into Mendeley library from your hard drive by simply dragging and dropping files. You can also import reference list from other reference managers or by searching various web databases for papers through Mendeley Literature Search. You can also use Mendeley Web Importer, a browser plugin that allows you to import documents from anywhere on the web quickly. Mendeley desktop will display a PDF icon next to the paper if the full text is available. You can search annotate and add notes to PDF documents. You can sync your libraries to the cloud to access them anywhere. Mendeley Writing Addins are available for MS Word and LibreOffice which enables you to insert references into your article and generate a bibliography list. 3. EndNote EndNote is a reference management tool that allows you to import references directly from online sources such as PubMed, Web of Science, Library of Congress, etc. You can also import references by uploading a list of references in Citation Manager format. Alternatively, you can manually input the references if it is an unpublished source. You can insert references in the document as you write using EndNote Word Addin. EndNote supports numerous citation formats. The tool automatically generates the bibliography for the references contained in the text. The cost of full single user license is £209, and student license is £99. RefWorks is a reference management software quite similar to EndNote. RefWorks is web-based as in the reference database is stored online. The references can be accessed and updated from any computer with an internet connection. Institutions subscribe to RefWorks on behalf of all their students, faculty and staff. The references can be included in the text using RefWorks’s Write-n-Cite Microsoft Word Addin. This plugin allows users to insert references in the text and generate a bibliography in a wide variety of formats. 5. 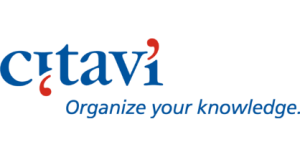 Citavi Citavi is a reference management tool that combines referencing with task management. Citavi allows users to search for sources, analyze content, structure ideas and write a paper. You can import PDFs by dragging and dropping files and add books and articles using ISBN. When you find information on the web, you can use Citavi browser plugin to import quotations, pictures, and web pages to Citavi library. You can annotate PDFs and save pictures to Citavi library. You can also make a note of your thoughts while reading a research paper using Citavi Thoughts Option. You can add tasks to the tasks manager window to manage project deadlines. You can structure your paper by creating an outline in Citavi. Then you can drag and drop references, image, and quotations to relevant sections of the paper. Finally, you can download the paper outline as a Word document and start filling in the missing bits of the paper. PaperPile is a GoogleDocs Addon for managing your references and bibliography. It is a very useful tool if you are using GoogleDocs for writing papers instead of MS Word. PaperPile is attached to your Google account. You can download this app from the Google store. There is a basic version available for free, and you can upgrade for a few dollars to a premium version. One of the big advantages of PaperPile is that it works very well with other citation managers such as Zotero and EndNote. PaperPile allows you to import Zotero or EndNote citations into GoogleDocs. You can insert citations, format citations and generate a bibliography in a wide variety of formats. You can easily import papers from Google Scholar into PaperPile. If full-text PDF is available for an article, you can use PaperPile to store them in GoogleDrive. 7. JabRef JabRef is a reference management software for Latex. The tool allows you to manage citations and generate bibliography if you are using Latex as your writing medium. This is a free tool and is well maintained. You can simply download citations in BibTex format and create entries in JabRef. You can also export a list of papers from multiple sources at the same time by selecting multiple items from a web page. JabRef tool will produce a .bib file with a list of references in your library and create a BibTexKey for each source. Now you can link this .bib file with Latex using ‘addbibresource’ command and cite articles in your Latex document using BibTexKey and ‘cite’ command. It supports a wide variety of citation styles and bibliography formats. Papers is a citation manager and referencing tool that allows users to discover, organize, read & annotate and share research. Papers tool is available for both Windows and Mac. It comes with all the basic functionality offered by other reference managers. Also some useful features are unique to Papers. You can search multiple search engines at the same time for keywords and view one set of results. You can organize your references by annotating, ranking and color coding. You can search your research library by building a complex query rather than searching for simple keywords. You can share your collection with your colleagues using Papers online web interface. Docear helps you to find relevant literature and remember all the things you read in the literature. Docear is a free tool and is available for Windows, Mac, and Linux. It provides a user-friendly graphical interface where you can drag and drop PDFs into different categories and topics. Then you can directly open the PDFs from this interface and annotate them. The annotations can be viewed by clicking on annotation icon that is displayed next to the PDF in the graphical interface. You can create an outline of the paper using Docear’s interactive user interface. You can drag and drop annotations and references into relevant sections of your outline in the interface. Once you are done, you can download the outline as a document in a wide variety of formats. Please check out our training videos. We have made the tutorials short and informative. This will give you a head start with REF-N-WRITE.